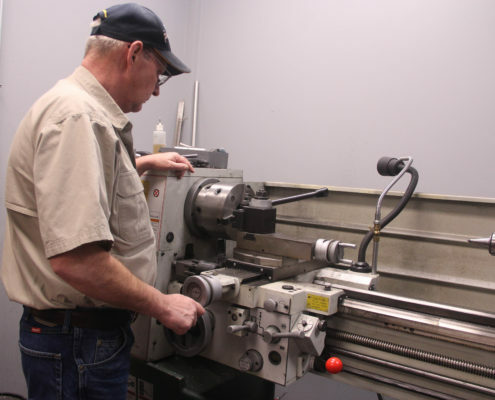 Whether you need gun repair, trigger work, lathe work, or total customization, the skilled gunsmith at Freedom Armory is up to the task. Whether you want to create a unique appearance for your gun like custom camo or if you desire a one-of-a-kind look, our gunsmith can either bring your idea to life or make recommendations based upon the unique configuration of your firearm. We blast and refinish in-house and are skilled at applying Durakote and Cerakote finishes. 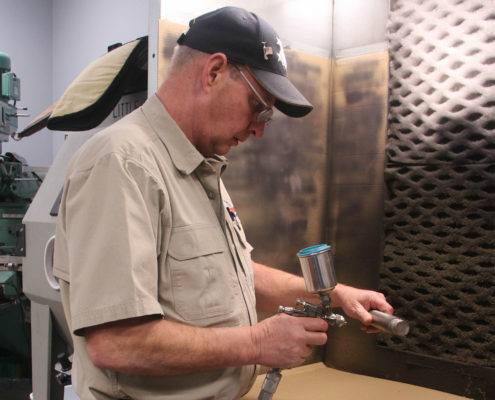 Typical finish work includes refinishing of old rusted guns (those that were formerly blued), refinishing family heirlooms, and refinishing firearms damaged by fire. Our typical turnaround is 1-2 weeks but depending on scheduling and other factors, a quicker turnaround may be possible. Please plan to bring your firearm into the store so we can examine it and provide you with a no-cost estimate. Turning, cutting, crowning, barrel threading, sight removal and installation. Note that you may either bring your own sights or choose from our in-store selection of sights. 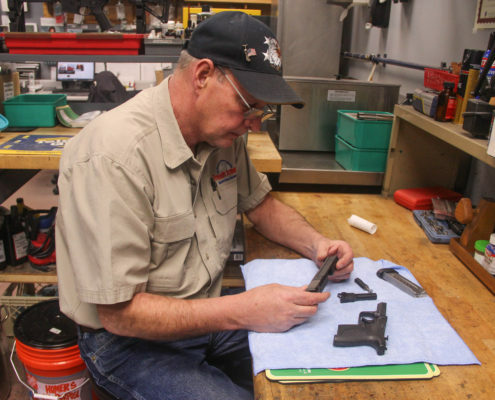 In almost every case, we prefer that you leave your gun with us until the work has been completed…however, if your circumstances demand (and you don’t mind waiting while our gunsmith attends to other work), we can let you know if you can wait on the repair. 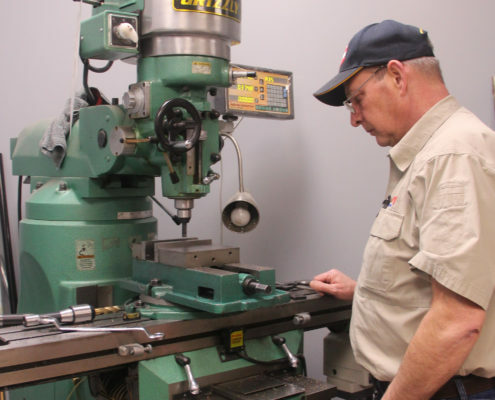 Our milling services include; Part replacement and fitting, scope mounting, AR Rifle part replacement and/or assembly, trigger installation & trigger work, revolver trigger jobs, replacement triggers, adjusting poundage (on some rifles) and on semi-automatic pistols. If you have a trigger-related need, please get in touch so we can answer your questions.